It’s a stressful time of year for many. Parties and get-togethers, late nights, no sleep, hangovers, and family relationships that are downright hard work. But it doesn’t have to be all serious stress, which is why this month’s newsletter is all about making you laugh a little. A massive thank you to all our amazing clients and suppliers for your encouragement and support of Banter Group. It’s been huge on so many fronts, but none of it could exist without you. I hope you have a beautiful holiday break and soak up the vitamin D to kick start your 2019. Burger King have done it again, with a limited time offer: catering to dog owners with the “Dogpper,” a bone-shaped treat with flame-grilled beef flavour for dogs. Customers need to order a Whopper for home delivery on the DoorDash app. Great ideas come from great insights. 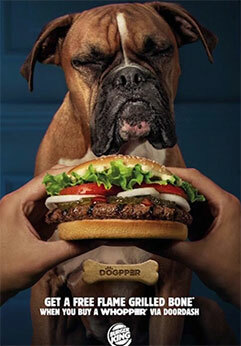 Burger King wants to grow their home delivery service, but the insight comes from understanding that delivery customers have trouble enjoying a hamburger as their dog begs for a bite. With 60.2 million US households owning at least one dog, and spending on pets will grow 3.7% $72.1 billion in 2018, including $29.9 billion on food and treats, there’s definitely a market. My 7 year old, William, thinks poo is hilarious. Find me a child who doesn’t. William once made me face paint the poo emoji all over his face and arms. I stopped laughing about poo when I found out you can transplant ‘healthy poo’ into a human being who needs ‘healthy organisms’ to get well. Better than pharma drugs in fact. It’s called a faecal microbiota transplant, and Australia has its first public stool bank in Adelaide. Bowel disorder is no laughing matter, and whilst I found this initially funny, it’s equally amazing what we can do with science behind us. Can’t be a blood donor? 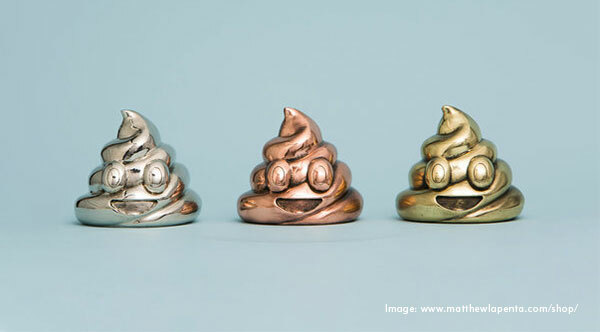 Maybe you can consider a healthy poo to help those in need. I was just referring to insight for innovation, and the New York public library has absolutely smashed an insight on Instagram users. Dogs and holidays are great on Insta, but before the platform gets same-same, boring and a meaningless vortex of time, the library comes to the rescue with Insta Novels. As users spend countless meaningless hours on social, the library aims to change that by adding classic literature to Stories; uploading classic books, stories, and novellas to the platform along with artwork by Instagram-popular designers. 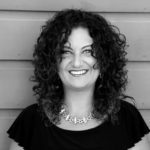 It’s no secret that a personal goal of mine is to assist the disability and special needs sector as much as I can. When the chance arose to help Anala, a local provider of disability & support services, I jumped at it. Personally, I wish I found Anala years ago for both personal needs and also for recommending to others. Anala are special. They catch those that fall through the gaps in the system. And there ARE gaps. Anala supports and guides individuals, families, young people, the frail aged and organisations by creating unique programs and services to cater for personal or organisational requirements. This mission: to create individualised support to cater for your lifestyle needs. With a newly designed website with easier navigation and a consistency throughout, we hope Banter’s contribution to Anala’s digital presence will help those in need, find the help they seek. Fast Food is a smile creator, and you have to give it to the big brands for hilarity. First Burger King, now Maccas delivering none other than the golden nugget Christmas bauble. How about a string of nugget lights for your tree? Brilliant. Only available in the UK. Not so brilliant.